Such a fun image and perfect to showcase with this CAS spotlight! It may have been quick to create but it's definitely a sweet card that will stay fresh in my mind. That doggie is too sweet! Ha! This is too cute! 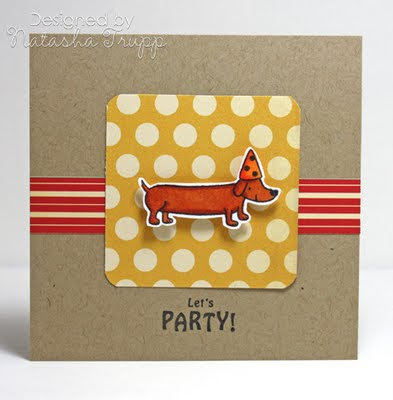 I have a real mini doxie dog, so I love this stamp.